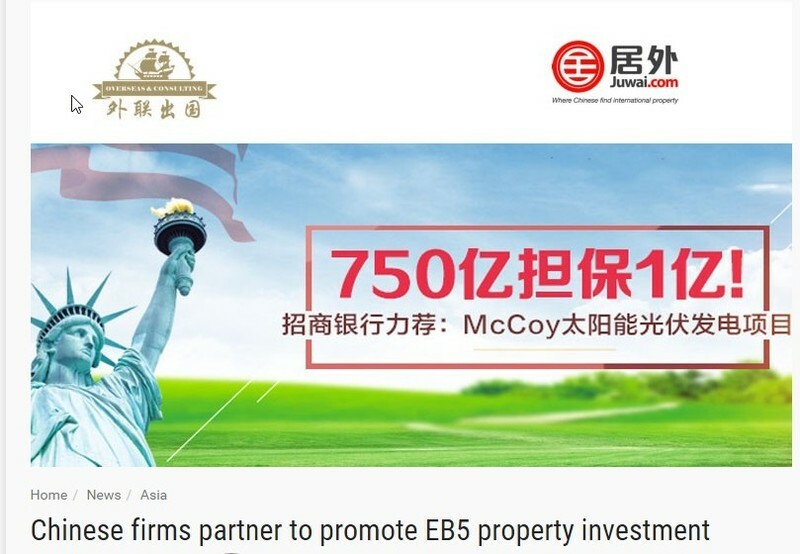 Leading Chinese property website Juwai.com has formed a partnership with top Chinese immigration consultancy Wailian to promote the United States EB5 investment visa scheme. The two companies will exclusively work together on the marketing of real estate development projects that are approved for participation in the EB-5 program and vetted by Wailian Overseas Consulting Group Ltd.
As OPP.Today reported yesterday when discussing the future of the EB-5 investment visa, 90% of applicants are from China. Wailian will help Chinese investors identify premium investment opportunities, obtain green cards and meet the program’s often complex requirements, while Juwai.com will publish qualified EB-5 investment opportunities and introduce potential investors to Wailian. The property portal will publish qualified EB-5 investment opportunities on Juwai.com and introduce them to its monthly audience of 2.6 million Chinese international property buyers, then introduce potential investors to Wailian.